I earned a Bachelor of Arts degree at Bowling Green State University in Bowling Green, Ohio. In 1982 I moved to the St. Louis area to attend Logan Chiropractic University. After my graduation in December 1985 I moved to Boston, Massachusetts. I passed the Massachusetts Chiropractic boards in December 1986. From the start I was looking for a holistic practice and I began my career at The Health Alliance in Cambridge, Massachusetts. I practiced there from February 1987 to September 1993. I opened my own practice in Brookline, Massachusetts and called it Amethyst Chiropractic. 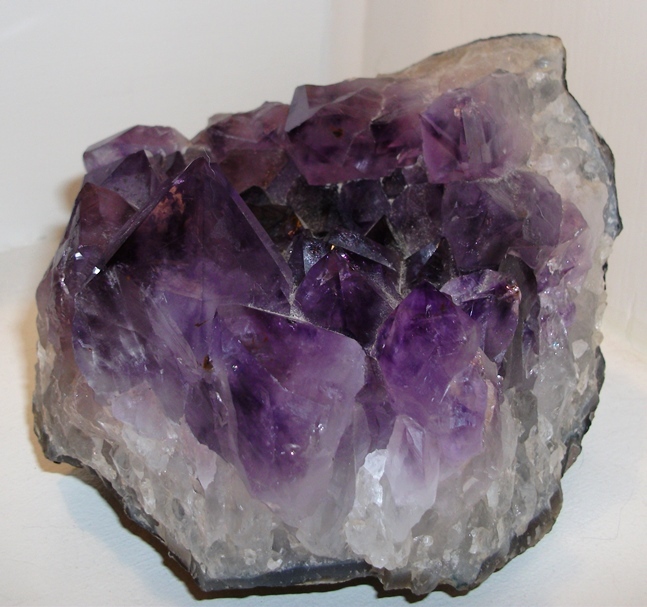 I chose the name Amethyst for my practice because amethyst is the crystal most associated with recovery and healing. In 1999, I, another chiropractor/acupuncturist, and a massage therapist opened Amethyst Center in Davis Square in Somerville, Massachusetts. We were a holistic center with eight treatment rooms which included chiropractic, massage therapy, physical therapy, acupuncture, naturopathy, and energy therapies. I left Massachusetts and Amethyst Center to move to Grand Rapids, Michigan in 2012.